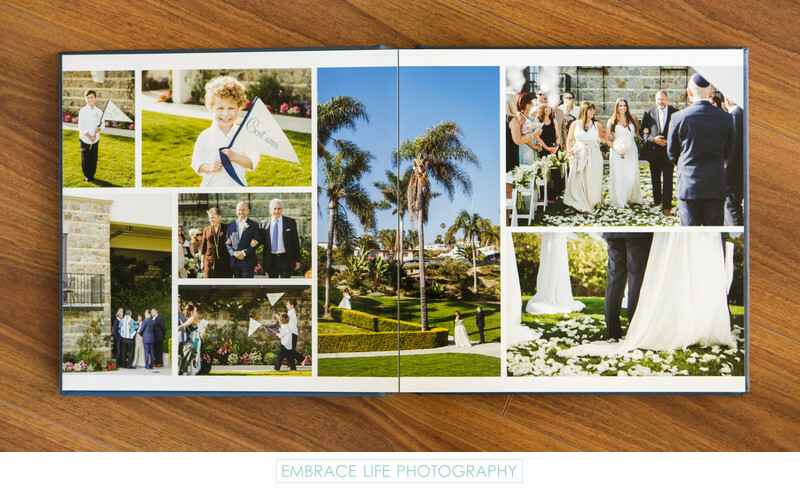 This Bel-Air Bay Club wedding photography album demonstrates how well a custom designed flushmount album can showcase several related photographs on a two-page spread. While many of our album page layout designs feature fewer photographs per page, this is a great example of using a collage to create great impact. Keywords: Luxe Album (51), Standard Album (21).